Carpets are normally taken for granted by us all but in reality this everyday item is not quite as simple as it first appears. 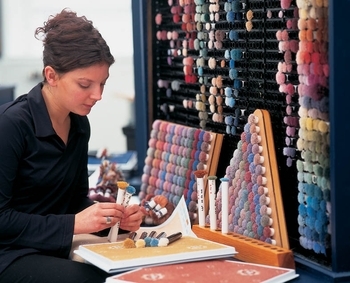 Carpets begin their life in the design studio where colours are matched to create modern or traditional designs suitable for today's discerning customer. Once design is complete, the carpet is woven or tufted (depending on the carpet type) to produce the finished product which passes through rigorous quality procedures before being delivered to your home. Carpets face degrees of use and it is important to choose the right kind of carpet for the location or it will wear poorly. The choice of suitable and complimentary underlay and accessories will prolong the life of your carpet and help it retain its appearance for years to come. There are a number of different carpet options, each constructed with specific benefits and qualities. Your Carpet 1st retailer has a number of years experience and can provide you expert advice on the correct carpeting for your purposes, taking into consideration colour, design, texture, fibre, wear or a combination of all. Carpet 1st can help you to choose the perfect carpet for your home.